This is a replica of a ring made for The Rt. Rev. Wilfrido Ramos-Orench upon his consecration as a suffragan bishop of the Diocese of Connecticut. Bishop Ramos was a friend of Bishop Alard and chose to wear as his pectoral cross, a replica of the Alard Cross. 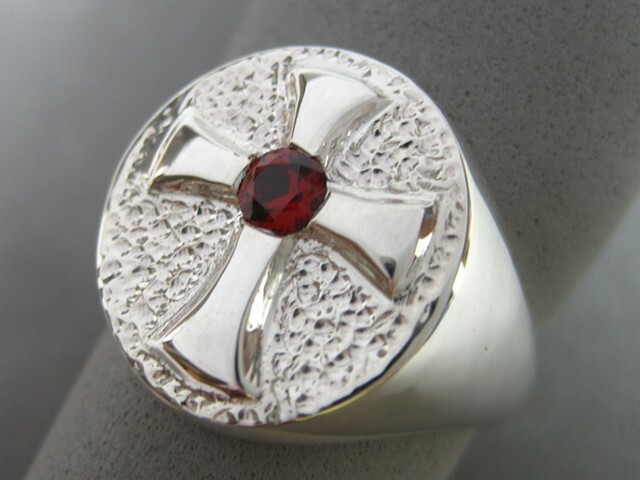 He commissioned me to make his ring with a raised Alard Cross on top set with an amethyst. top oval measures 3/4" X 5/8"